Varangian Guard. Byzantine Empire, X – XI cc. The Varangian Guards were Viking mercenaries who operated far beyond their native shores as an elite force within the Byzantine Armies. The Varangian Guard was formed after a group of Viking mercenaries made a major contribution to the Byzantine Emperor Basil II’s victory over rebel forces in 988 AD. These 5,000 men were then retained as Basil’s personal guard and would provide loyal service to many successive occupants of the imperial throne. Commonly referred to as ‘foreigners’ (Etaireia), they were nonetheless absorbed into a new Palatine regiment under command of an officer termed the Akolouthos, who was either a Norsemen or a Russian . 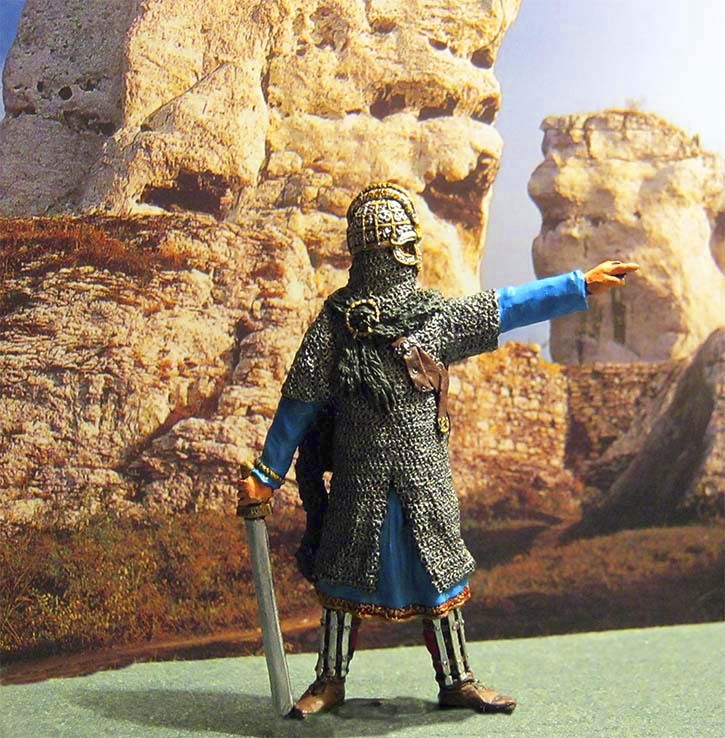 The Varangians wore mixtures of their native clothing and armour together with a splendid formal Byzantine uniform. But most famously, they always wielded their own traditional battle-axes and in fact this became a sign that the emperor was on the battlefield in person. The Slavic word "Varyag" descends from the Byzantinian term "Varang". Varangian Guard. Byzantine Empire, X – XI cc . EK-Castings, tin, size: 54mm.